The English Schoolhouse: Tallulah The Tooth Fairy CEO is here! 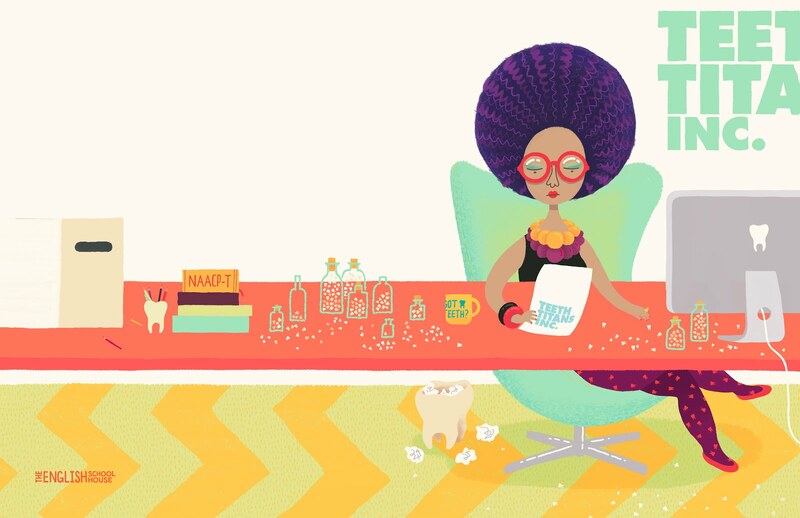 Tallulah The Tooth Fairy CEO is here! Here's Book #7 from The English Schoolhouse, you guys! And she's a winner, in my opinion. When you think of the tooth fairy, a certain image may come to mind. Depending on where you live or where you're from, she may not even be human! Truth is, until now the tooth fairy's true identity has been a carefully kept secret. Ain't nothin' tiny about her. 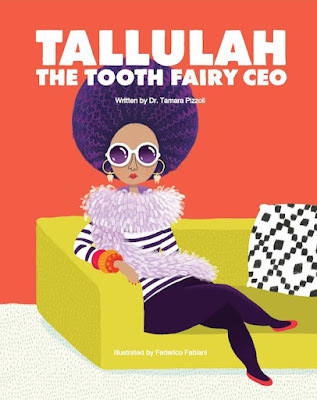 Tallulah's a boss--CEO of the only company that has a complete monopoly on the primary teeth market--Teeth Titans, Incorporated. I'm so excited to share the truth of who the tooth fairy is and what it is she actually does with the world! You're invited to pre-order your signed copy (by me, Tamara, the author) at www.theenglishschoolhouse.com. (It's also a dollar cheaper on the website than on amazon). If you just can't wait that long, you can order a copy (or two or three or five or eighteen copies) on Amazon.com. Reviews and shares are greatly, greatly appreciated!